NBAGR Recruitment 2019: National Bureau of Animal Genetic Resources (NBAGR) / www.nbagr.res.in is conducting recruitment processes to fill 58 vacancies. As of now, there are two recruitment drives going on for Walk in for 16 Enumerators/ Milk Recorders & Supervisor Posts and Walk in for 42 Enumerators / Milk Recorders & Supervisor Posts. NBAGR Recruitment 2019 - Walk in for 16 Enumerators/ Milk Recorders & Supervisor Posts on a project entitled “National Bovine Genomic Centre-Indigenous Breed” in NBAGR, Ajmer, Jaipur, Rajasthan on Contract Basis. Candidates are invited by National Bureau of Animal Genetic Resources (NBAGR) to attend walk-in-interview to be held on 27 Apr 2019 10:30 AM for 16 vacancies. NBAGR Recruitment 2019 - Walk in for 42 Enumerators/ Milk Recorders & Supervisor Posts on a project entitled “National Bovine Genomic Center- Indigenous Breeds” in NBAGR, Rohtak, Haryana, Uttar Pradesh on Contract Basis. Candidates are invited by National Bureau of Animal Genetic Resources (NBAGR) to attend walk-in-interview to be held on 24 Apr 2019 at 10:30 AM for 42 vacancies. 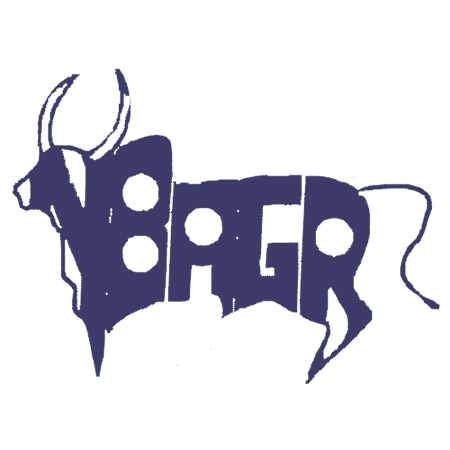 NBAGR Recruitment 2019 - Walk in for 9 YP II, RA & SRF Posts on a project entitled “National Bovine Genomic Center-Indigenous Breeds" in NBAGR, Karnal, Haryana on Contract Basis. Candidates are invited by National Bureau of Animal Genetic Resources (NBAGR) to attend walk-in-interview to be held on 15 & 16 Apr 2019 for 9 vacancies. NBAGR Recruitment 2018 - Walk in for 13 YP II, SRF & Other Posts in NBAGR, Karnal, Rohtak, Haryana, New Delhi on Contract Basis. Candidates are invited by National Bureau of Animal Genetic Resources (NBAGR) to attend walk-in-interview to be held on 23/ 24/ 25 & 29 Oct 2018 at 10:30 AM for 13 vacancies. NBAGR Recruitment 2018 - Walk in for Research Associate Posts on a project entitled “Genome data mining to unravel the molecular basis of thermotolerance and adaptation to diverse environments in native cattle and buffaloes" in NBAGR, Karnal, Haryana on Contract Basis. Candidates are invited by National Bureau of Animal Genetic Resources (NBAGR) to attend walk-in-interview to be held on 03 Jul 2018 at 10:30 AM for 1 vacancy. NBAGR Recruitment 2018 - Walk in for Project Assistant Post on a project entitled Exploring genetic diversity across MHC class II locus and its association with differential immune response in indicus, cross and exotic cattle in NBAGR, Karnal, Haryana on Contract Basis. Candidates are invited by National Bureau of Animal Genetic Resources (NBAGR) to attend walk-in-interview to be held on 26 Mar 2018 10:30 AM for 1 vacancy. NBAGR Recruitment 2018 - Walk in for Senior Research Fellow Posts on projects entitled “Delineating Beta Casein Variants in Indian Cows and Potential Health Implications of A1A2 Milk" and “National Agriculture Innovation Fund (NAIF)" in NBAGR, Karnal, Haryana on Contract Basis. Candidates are invited by National Bureau of Animal Genetic Resources (NBAGR) to attend walk-in-interview to be held on 30 Jan 2018 10:30 AM for 2 vacancies. NBAGR Recruitment 2017 - Latest job notification for Senior Research Fellow. Applications are invited by National Bureau of Animal Genetic Resources (NBAGR) before 26 Apr 2017 for 1 vacancy.